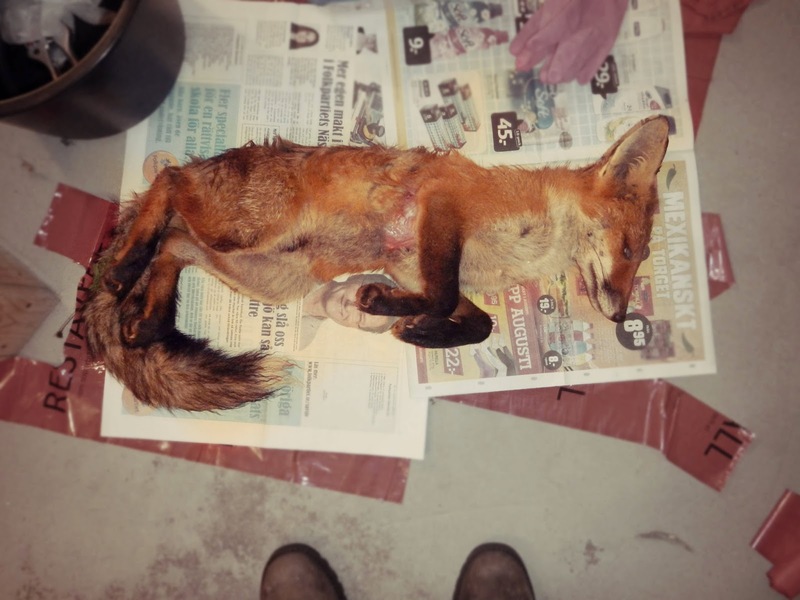 So, Alex and I came across this fox who had died near a road. One moment I'm thinking "poor thing" the next "I would love to have a fox skull". It was in great shape since it hadn't been dead for long. 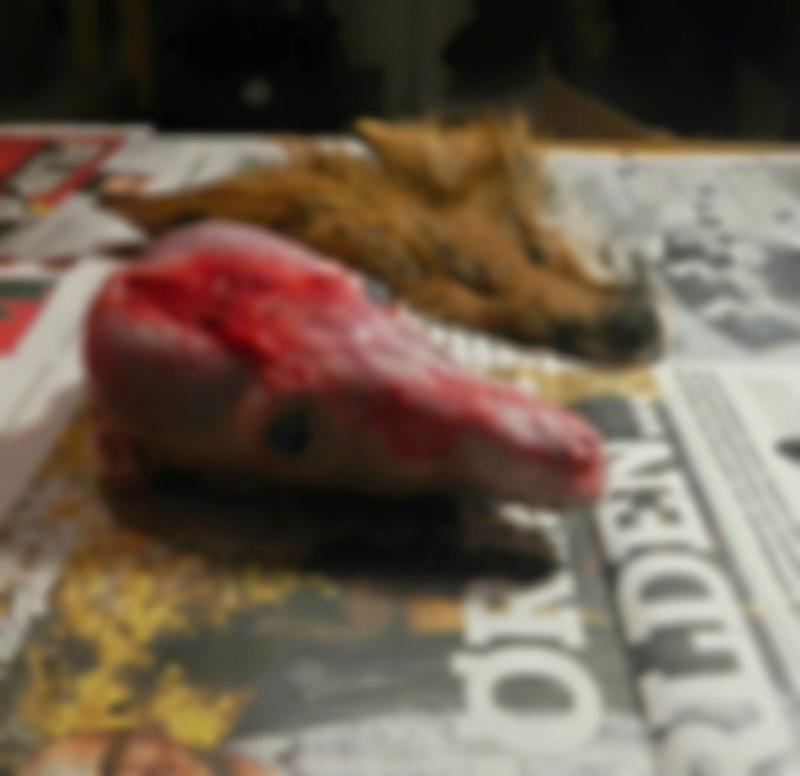 I decided to skin the head, so I could use not only the skull, but the face of the fox as well. I want to try stuffing the face and see whether or not I can make it look stuffed. I worked with it in the middle of the night (didn't want it to decay any further so had to do it as fast as possible) in our basement, with rubber gloves, knifes and cutters. I'm glad no one saw me..